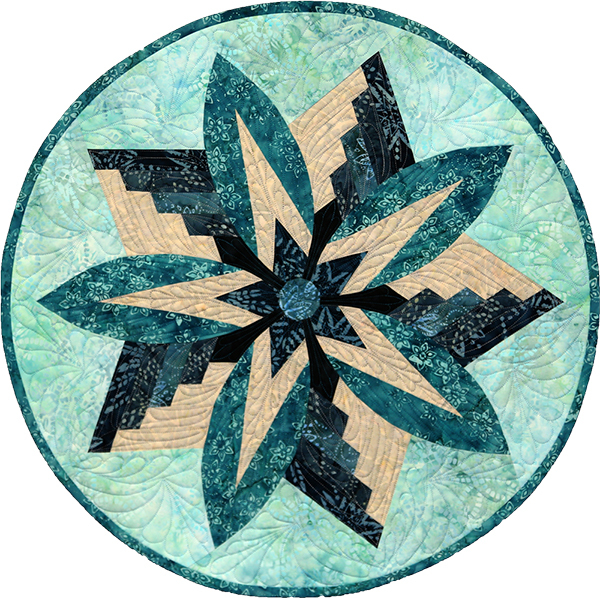 Featured in the April edition of American Patchwork & Quilting, the Rustic Mountain Snowflake is a seasonal table topper (or placemat) designed by Quiltworx.com to introduce quilters to paper piecing. 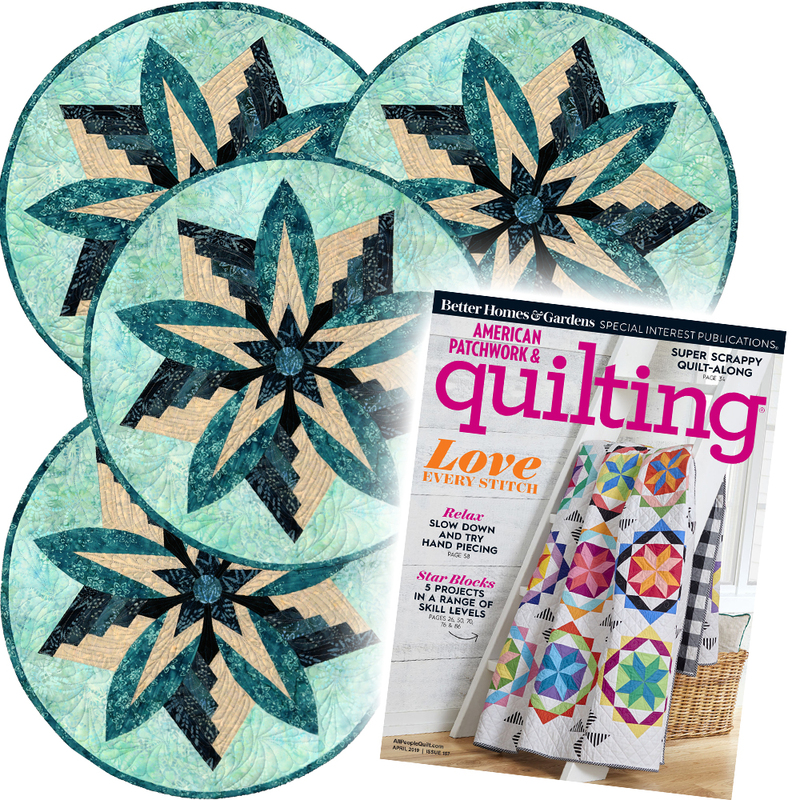 While the magazine comes with the pattern and papers for (1) table topper (which can be photocopied), you can order the set of 4 here for $10.99 or your favorite quilt shop for a limited time. 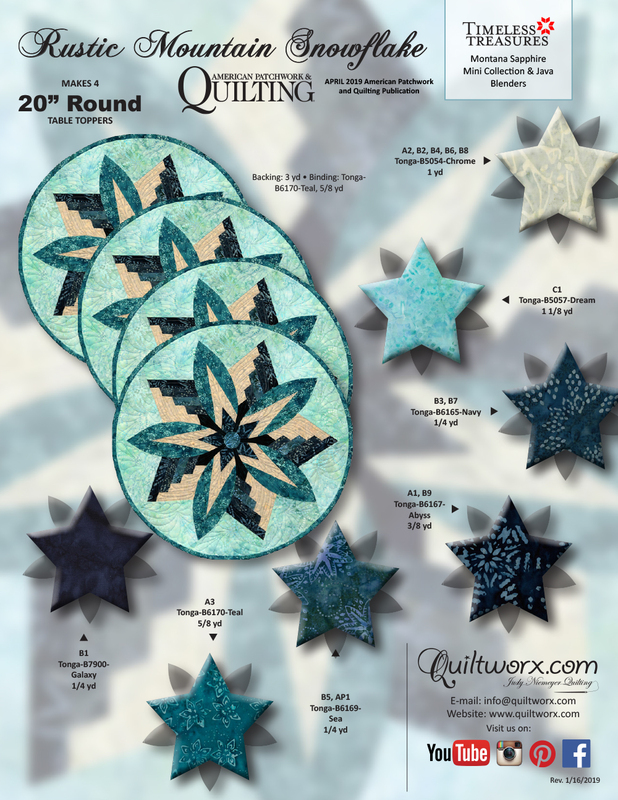 The package will have enough foundation papers to make (4) snowflakes and will include an insert with yardage and cutting information to make all (4) snowflakes at the same time. 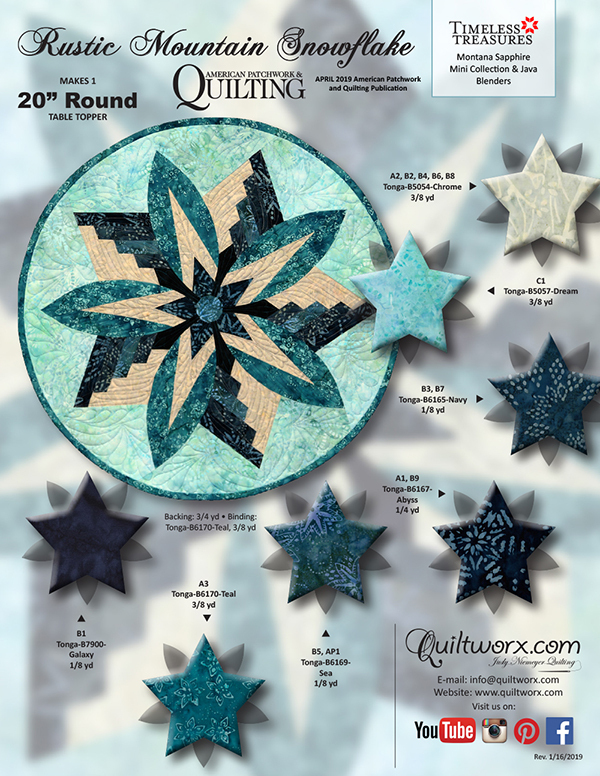 Please note, the pattern instructions are only available in the April edition of APQ. 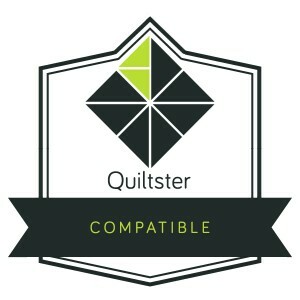 Quiltworx will have a limited supply of the magazine once they arrive. If you would like a digital download of the the instructions, you can find it HERE for $6.99.